Activity Level: Activity Level Activity Level / Activity Level Activity Level Activity Level Intermediate to advanced biking, from 3 to 7 hours per day, mountainous terrain. Full support. 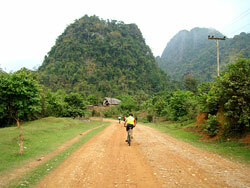 "Testimonial Laos biking tour"Another great trip with you guys. The crews on both sides of the border did a great job of preparing and executing our trip. 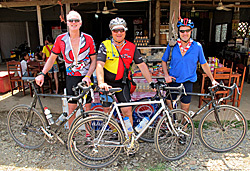 We were pleased with the balance of riding and sightseeing, all under the eager care of our guides and drivers." Toby Mumford, Tiburon, CA. 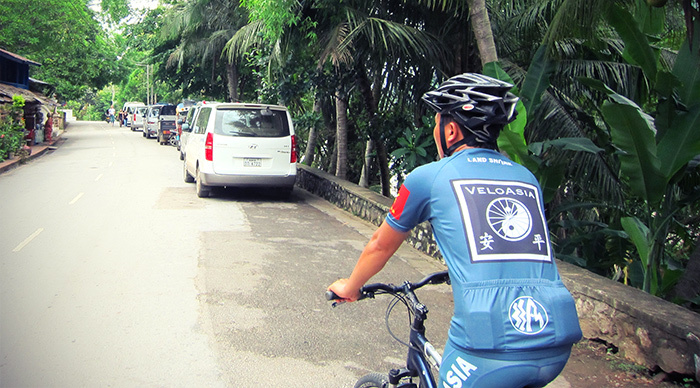 uang Prabang is one of only a handful of Asian towns that you may still bicycle comfortbaly in. Enjoy a spin along the riverfont, crossing over the bridges, and out further on rides to local villages. 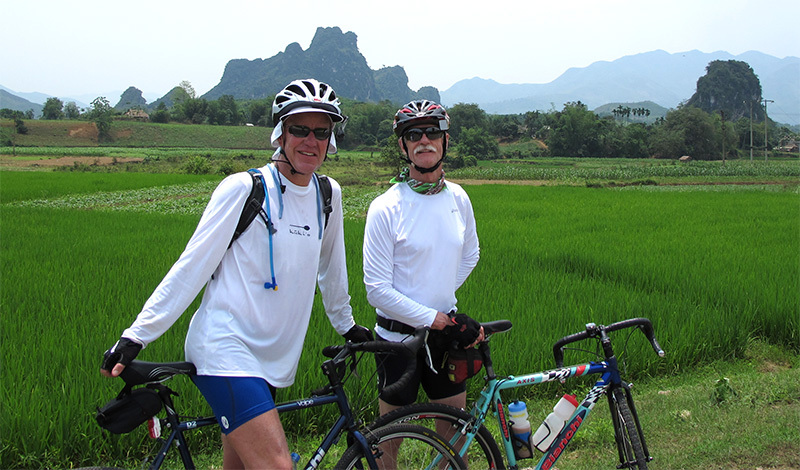 Bicycles: Trek mountain or hybrid bike with front suspension Activity Level: Activity Level All abilities, flat, leisurely biking to an intermediate itinerary with longer rides, by preference. "What an unexpected wonderful place Luang Prabang turned out to be. Of course we enjoyed the fabulous La Residence but the interesting activities that you'd planned for us and your guide made the trip one of our best we'd ever had. The cycling north of town was absolutely stunning. Chit was an angel, who genuinely cared for us in every way. After our time with him we were heartbroken to say goodbye. —L. Feinberg, NYC"